Nothing is worse than breaking or chipping a tooth. Not only does it cause an unexpected cosmetic emergency to ruin your day, but it is easy to feel insecure about the appearance of your smile. When the unexpected strikes, it is best to call your cosmetic dentist in Indianapolis right away. The tooth will need to be evaluated to determine the extent of the damage while creating a customized treatment plan to restore a beautiful smile. Often, trauma to the face is a leading cause of a chipped or cracked tooth; however, it can occur for other reasons as well, such as biting into a hard piece of food or using your teeth as tools. No matter the cause, a minor break or crack usually is not a severe concern, but you will still need to have it checked by your dentist to ensure that the damage does not extend past the enamel. In addition, they will provide you with the solutions you need to restore its appearance. If you have had a tooth chip or crack, the first thing you need to do is calm down. Then, rinse your mouth with salt water and call your dentist. While you wait for your appointment, it is best to avoid placing pressure on the tooth and keep it clean. If you have any pain or discomfort, you can use over-the-counter pain relievers and cold compresses. After performing an initial consultation, your dentist will focus on restoring the health and appearance of your chipped tooth. Now, you have many different treatment options available. Your dentist will determine which one is right for you. Bonding is a simple and affordable solution to fix chipped or cracked teeth. A composite resin material is used to sculpt your tooth. It will be customized to match your enamel color, so it will blend in seamlessly when you smile. The procedure is noninvasive and only takes one appointment to complete to restore your confidence. Veneers are thin shells that are bonding to the front surfaces of your teeth. They are versatile, allowing them to be used to correct several cosmetic concerns, likes chips and cracks. Now, they are thinner than those made from past materials, allowing the procedure to be minimally invasive. On average, it will take about 2 appointments to complete the process. Do not let a cosmetic dental emergency ruin your day. You can save your tooth and restore the appearance of your smile using a simple and effective procedure. Since 1982, Dr. Mark M. Farthing has been committed to creating healthy, beautiful smiles. He believes in always being there for his patients, even in times of emergency. If you have a dental emergency, he provides the same-day care you need. Do not let an unexpected dental problem ruin your day. 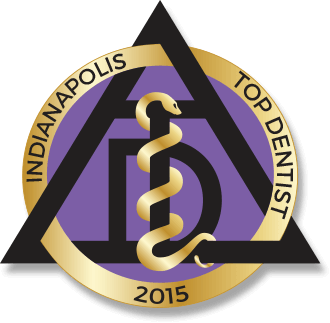 Contact Indianapolis Family Dentistry today to schedule your appointment.